Insurance claims can be a confusing process. Cordray Construction is fully qualified to work with insurance companies to satisfy claims for damage. Cordray Construction is licensed and insured and our field estimators are trained allowing them to determine the damage to your property. 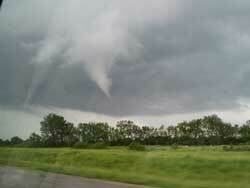 We are familiar with Homeowners’ policies and damages caused by hail, wind and storms. It is important to contact a roofing contractor prior to an insurance adjuster evaluating your roof. When you are not able to access the damage on your property it is important to have someone on your behalf who can represent your best interests. A field estimator at Cordray Construction will meet with your insurance adjuster on the roof and identify all damage for a fast and fair resolution. If you choose Cordray Construction, we will provide the best roof, using only quality materials and roofing accessories. It is our hope that this page and our process can help simplify how a claim works, and make it easier on you to go through the process. Cordray Construction and Roofing understands that a claim on your home can be stressful and we want to do our part to relive the headaches that can come with the process. All ways remember as Kansas City`s roofing specialist we are always willing to go beyond to do what it takes to help you. HOW DO I KNOW IF I HAVE DAMAGE? If you live in the Kansas City Metro area we will provide a free inspection of your roof. You can contact using our website and schedule to have one of our Trained Hail Damage Roof Inspection Specialist come inspect your roof for hail damage. 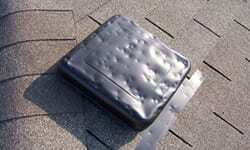 Our trained specialist will inspect your roof and property for damages caused by the hail storm. Often times damage from a storm goes beyond just your roof so we inspect your property, roof, gutters, siding, windows, screens, deck, A/C units and we will discuss the necessary repairs the hail storm created and help you to determine how to recover your losses from the hail storm. HOW TO START CLAIM PROCESS. When Contacting your insurance company start by having your policy number and date of the storm. Their are several way for you to file your claim; local agent, online or over the phone, on the right side of the page we have provided links to several Insurance company’s claim centers to simplify getting the process started. WHAT IF I HAVE ALREADY CONTACTED MY INSURANCE COMPANY TO INSPECT MY ROOF? If you have already scheduled a inspection we will work on your behalf to inspect the hail damage to your roof to make sure a trained professional can be their with you at the time of your inspection, to help assist your claims adjuster / inspector. We feel its important that you have someone working for you to make sure the damages have been asset fairly and that nothing has been overlooked. We will still provide a complete and comprehensive inspection to help you determine if a second inspection is needed. It is not the position of Cordray Construction and Roofing to advised you to ever file a claim but we understand that after a hail damage has occurred to your roof the importance of providing you with the best information to allow you to make a decision that most benefits you. If it is determined that a second inspection is necessary. We will work with the claims adjuster to make sure we are on site working on your behalf to insure nothing is overlooked. WHAT IF THE ESTIMATE IS HIGHER THAN THE ESTIMATE PROVIDED BY THE INSURANCE COMPANY? This can be a common and frustrating part of the process. When working with the insurance company on your behalf we make sure that your insurance company covers the complete scope of work. An Insurance company will work off the depreciated value of a roof, we will work directly with the insurance company to make sure that cost of total repairs are covered and that the job is done to meet local county and city regulations. We will submit the necessary documents directly to your insurance company to insure any additional money needed to complete the job, guaranteeing the work is done correctly and professionally the first time. It is always prudent to obtain multiple estimates. However we believe that your decision should be to work with the Company that can make the process as simple and comfortable as possible. When your insurance company is paying for the work, the cost of the estimate is not important as long as the cost is equal to or less than the insurance company`s accessed cost. In most cases, Cordray Construction and Roofing, will make sure you are only responsible for the cost of your deductible and making sure your cost with Cordray Construction and Roofing is what the insurance company pays.